Coney Island Baby opens its doors tonight at 169 Avenue A between 10th Street and 11th Street with a set by Murphy's Law and other special guests TBA. The Coney Island Baby website has the updated list of bands here. The venue's partners reportedly include Laura McCarthy, former owner of indie-rock club Brownies (in this space from 1989-2002), and Tom Baker and Don DiLego of Velvet Elk Records. Jesse Malin of Niagara, Berlin and Bowery Electric is also involved. HiFi closed last October after 15 solid years at the address. Dear Pyramid, please bring back some drag queen shows. Glad to see new nightlife in the area. How is it good for the neighborhood? Bar tenders will make more tips? Uber and taxis will get to fight over space to pickup fares? Sleep is over rated and children do best with 3-4 per night? Oh the state will benefit as the sale of alcohol brings in heaps of tax dollars. Having a bar at 169 Ave A isn't exactly a new thing. Brownies was there starting in 1989, then came HiFi. Some people who live in this neighborhood still like to do things like have fun and see a band. But I suppose there is fun to be had in complaining about everything and dreaming about a world in which there isn't noise or people we don't like. @12:20 The first part of what you say is correct. Everyone liked Brownies and HiFi. The second part of what you say is simple minded. You wouldn't say homeless people have always been around get over it. 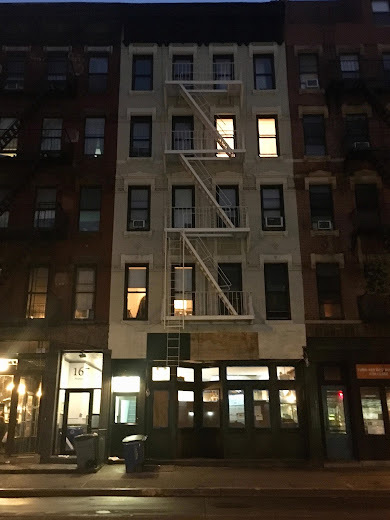 The situation is- rent stabilized have been pushed out of the neighborhood and now what is- high rents and new $$$$$$$ condos and too many unaffordable bad bars and restaurants. You don't see this. Three of Cups just closed. Not too many affordable and hip places left. To say people are anti bar is derogatory. All the best to Coney-I hope you can pull it off. I'm sure you have sound proofed. People on the first floors will be affected the most. Keep the back door shut. There are new and long time residents, some Ukrainian people still on the block -so. The Pyramid Club. All the best. I hope it works out.